DESIGN PERFECTED, LIKE ITS INSPIRATION. 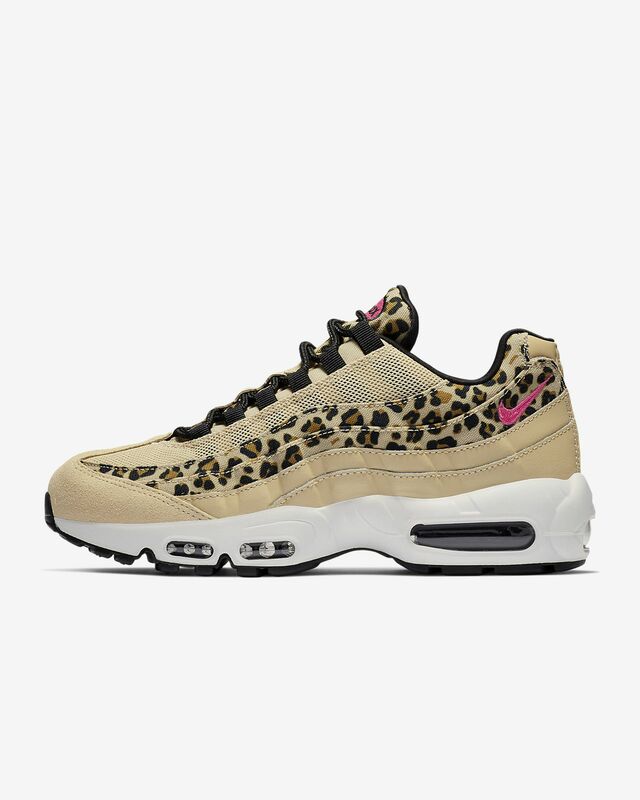 The anatomically inspired Nike Air Max 95 Premium Animal retains its iconic look with a sleek, lightweight silhouette that&apos;s geared for 24/7 comfort and style. Textile, leather and synthetic upper provides durable, long-lasting wear. The Nike Air Max 95 features inspiration from the human body itself. The midsole represents the spine, graduated panels are the muscles, the lace loops are the shoe&apos;s ribs and the mesh upper is its skin. As a whole, they work together to propel you forwards in style and comfort. Have your say. Be the first to review the Nike Air Max 95 Premium Animal.